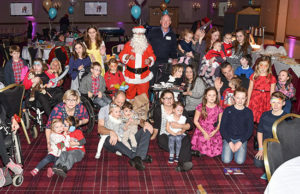 ONE of the UK's top business leaders put on a cracker of a Christmas party for disabled children and their families. 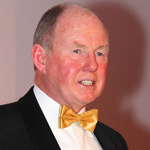 Steve Morgan OBE, chairman of The Morgan Foundation, said: "There's nothing better than making a difference to children's lives." 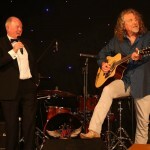 Steve Morgan donates new delivery van to All Together NOW! 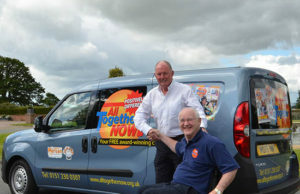 BIG-HEARTED businessman Steve Morgan OBE has handed over a brand new delivery vehicle to the FREE ALL Together NOW! charity health and disability paper. 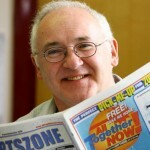 THE FOUNDER and editor of All Together NOW! is included in the Independent on Sunday’s seventh annual Happy List. DISABLED children will benefit from essential equipment, thanks to a massive £450,000 raised at a star-studded golf day and gala dinner. HUNDREDS of families with disabled children are to benefit from a special golf day being organised by entrepreneur, Steve Morgan. Children are the stars of your latest FREE issue! CHILDREN are the stars in the latest, hot-off-the-press issue of All Together NOW! A LONG-STANDING dream to build a hydroptherapy pool to help disabled children finally came true, thanks to The Morgan Foundation.